You can check out the ever-growing list of reviews on our Barefoot Rehab Facebook page, on the Barefoot Rehab Google page, or by scrolling below + clicking the body part that you’re curious about! 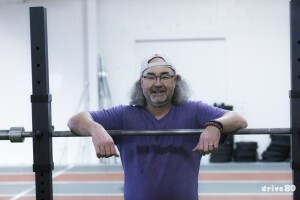 I am 49 years old and have been an active athlete most of my life. I have had various injuries from playing sports including tennis (primarily ankles, ice hockey, and roller hockey (knee and sports hernia), poor living and diet causing huge weight gain and low back issues. I’ve been treated by Dr. Chris for various issues as they arise over the past two years. Dr. Chris has at different times treated my back, shoulder, calf, and Achilles Tendons. Within 24 hours of treatment, I am able to resume full activity. Dr. Chris doesn’t treat like any other healthcare provider I’ve ever met and I have tried a bunch. He spends a lot of time listening and offering concrete, life-changing recommendations. Under his direction, I have completely altered the way I exercise with Crossfit, my diet with a strict Paleo diet. I shed 40 lbs. quickly and easily. I started Crossfitting and am now in the best shape I’ve been in decades feeling top notch, physically, mentally, and even spiritually. My business has tripled and my family is happy all coming from taking care of my body and listening to it. If you have pain or want to make a change in your life, go see Dr. Chris. It’s a life changing experience. Last June I was introduced to Dr Chris Stepien, owner of Barefoot Rehabilitation Clinic. I brought with me a lifetime of chronic pain, inflexibility, illness and fear of exercise. I had been to many doctors and several chiropractors in the past. I was given the usual suggestions: take these pills, come back 3 times a week to get ‘adjusted’ , and do not do any real strenuous exercise given my history. So I dutifully went back and back for adjustments, (did not take any pills) and took careful walks. I was frustrated at my inability to do very much, yet I had no real guidance. Then one magical day I met Dr Chris and he changed my life. Dr Chris is a different kind of chiropractor from anyone else you will meet. From the moment you walk into his office, his caring and kind attention shines through. He listens to you, and more importantly your body. His Active Release Technique is not like any treatment I have received in the past. It looks and feels different , but the main difference? It works! The pain I lived with constantly: my knee, my IT band, tendonitis in my wrist and shoulder… all gone. For the first time in years I feel free. As the months of work with Dr Chris progressed, he gently encouraged me to do some more movements. The first time he suggested I do a squat, I said “what’s that?” I trusted him and I followed his direction, becoming more active on a daily basis. In the fall of this year Dr Chris suggested I try Crossfit. I laughed, literally. But he was not kidding and so I tried it. I attended a Crossfit lite class at Heroes Journey Crossfit. I was very nervous the first few weeks, not trusting my body to be strong enough for the workouts. I kept attending and gradually realized that I was getting stronger by the week. Dr Chris supervises the workouts that I do and I am amazed at the progress I have made. When I walked into Barefoot Rehab a yr ago, I could hardly walk without pain. Now I am able to run. Read what our patients have had to say about any body part!